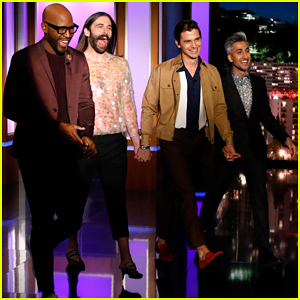 The guys of Netflix’s Queer Eye gave a makeover to Jimmy Kimmel Live‘s Guillermo Rodriguez on Monday’s (March 18) episode of the late-night show! 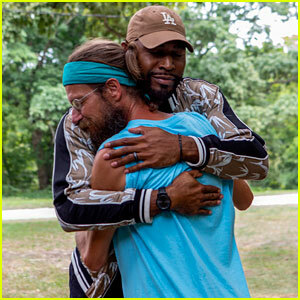 Bobby Berk, the fifth member of the makeover team, did not appear on the show. 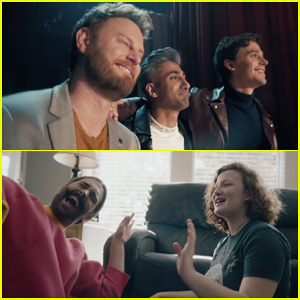 “He’s in China right now, working on his furniture line,” Karamo explained. 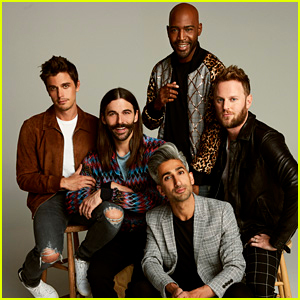 In the segment, Tan gave Guillermo a fresh wardrobe, Antoni replaced his shot of tequila with a tequila sunrise, Karamo made him cry over a picture of a chihuahua, and Van Ness did “a little bit of this, a little bit of that” in making over his hair. 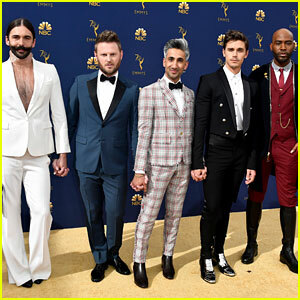 FYI: Antoni is wearing a Sandro shirt. Jonathan Van Ness Shows Off His Cheerleading Skills on 'Busy Tonight' - Watch Here! 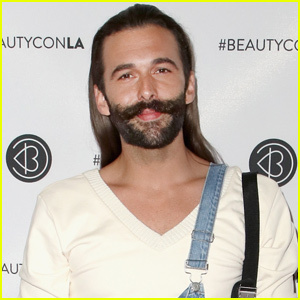 Jonathan Van Ness Debuts His 6th Grade Talent Show Floor Figure Skating Routine on 'Kimmel'! 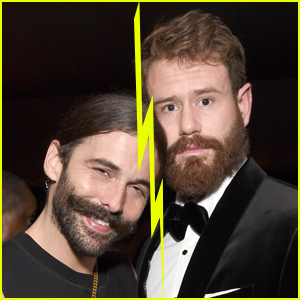 'Queer Eye's Jonathan Van Ness Announces Comedy Tour!